This is a good week to work on shoaling a la my Platonic Euro Husband (PEH) Gordon White. Make all your tiny magic fish into one big magic fish. 1. Jacki Smith has a great trick in her book Coventry Magic with Candles, Oils and Herbs. When you start to feel ungrounded and uncentered, whisper out loud to yourself, “My nose is in my nose. My toes are in my toes. My spine is in my spine. My spirit is in my body.” It works like…Whoa! 2. Jason Miller discusses the importance of making offerings to your gods and spirits regularly. Like anyone else, the gods and spirits are more inclined to do you a solid if you don’t always have your hand out to them. It doesn’t have to be anything fancy! Just fresh clean water and tea lights are good. 3. Momma Starr has a simple trick for bringing in more money. Take a shot glass and put in a quarter of yours (and whoever else earns money in the house). Add a teaspoonful of sugar. Fill the glass with water. Let it evaporate naturally. Then, put more water and sugar in. I put a mirror under my glass to amp it up. 4. For more prosperity, Feng Shui suggests that you put a small mirror above your stove burners to reflect them. 5. In Hoodoo, to keep negative energy from coming into your house, cut a lemon in half and dip each half in salt. Put one half on each side of your door. When it starts to go “off”, dispose of it in the woods or at a cross road. Repeat as often as needed. Contemplate what you are trying to accomplish. 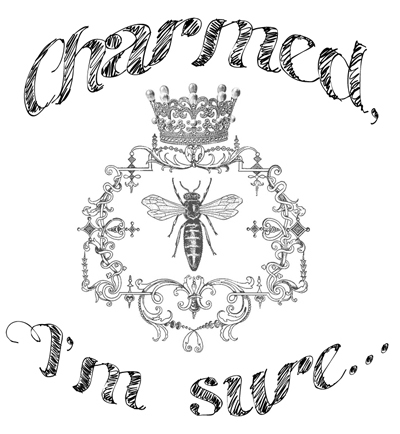 For me, I generally want people to like me and think I’m charming (Venus) but um not like me too much (protection sigil). If you are feeling especially creative, think about where would be good places to place these sigils. I keep it simple by putting them on the inside of my wrists, but you may be the creative type. If that is the case, maybe you want to put them over the root chakra to get laid and protective sigils on your back so your back is being watched? Squirt a teeny tiny amount of hand sanitizer onto your eye shadow brush. If you don’t like the idea of using an eye shadow brush, get a tiny paint brush. I just happen to have an eye shadow brush with me at any given time typically, as does Miss Spice! So, it’s functional for us. Concentrate on what you’re trying to accomplish. Feel free to say some kind of chant or spell or psalm or whatever gets you off. I personally just focus and concentrate. Then, I draw the sigils on the inside of my wrists. Hand sanitizer feels cold and shows in a clear gel on your skin for a few moments so it’s a good way to actualize whatever you’re trying to do. I couldn’t remember what planet to use for protection and had no idea what book to find it in so I decided to draw a set of brass knuckles on one of my wrists. This worked perfectly. The hand sanitizer is clear. It dries in minutes and no one can see it after a minute or two. But, you know it’s there. Bonus! Clean eye shadow brush! Parsley is good for protection and love. Dill is good for money and hex breaking. So, you can cover all your magical bases by using only these two herbs. You can enchant as you see fit. This recipe is quick and economical as well! Cook pasta according to the directions. Drain. Add the rest of the ingredients. Et, voila! Dinner est served!